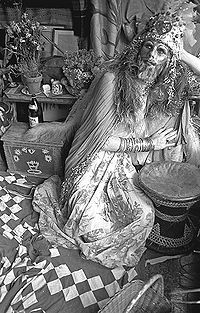 As an introduction to Fayette Hauser’s piece below, Children of Paradise, the following is a brief history of the Cockettes, as taken from their website. 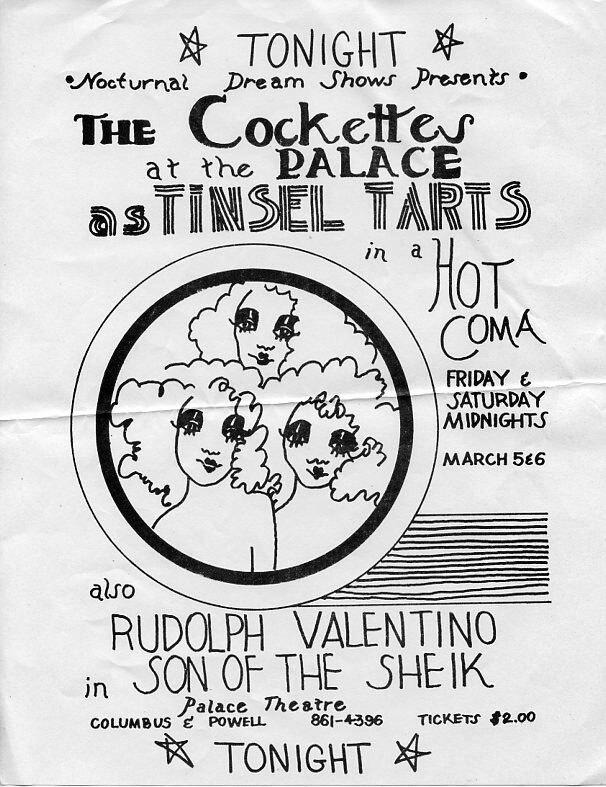 As the psychedelic San Francisco of the ‘60’s began evolving into the gay San Francisco of the ‘70’s, The Cockettes, a flamboyant ensemble of hippies (women, gay men, and babies) decked themselves out in gender-bending drag and tons of glitter for a series of legendary midnight musicals at the Palace Theater in North Beach. 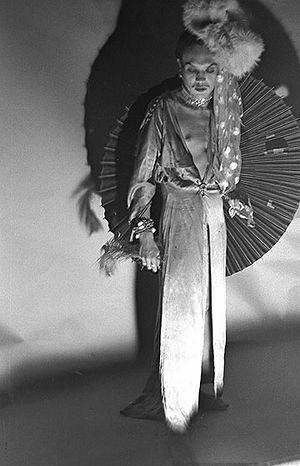 With titles like “Tinsel Tarts in a Hot Coma” and “Pearls over Shanghai”, these all singing, all dancing extravaganzas featured elaborate costumes, rebellious sexuality, and exuberant chaos. 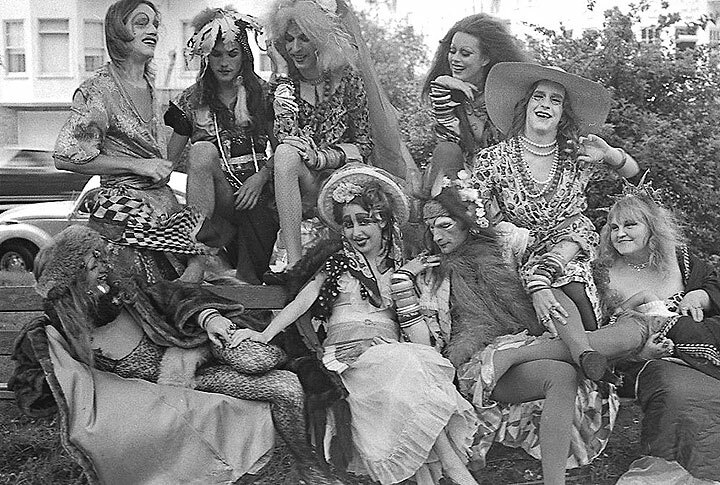 The Cockettes were founded by “Hibiscus,” a member of a commune called KaliFlower that was dedicated to distributing free food and to creating free art and theater. 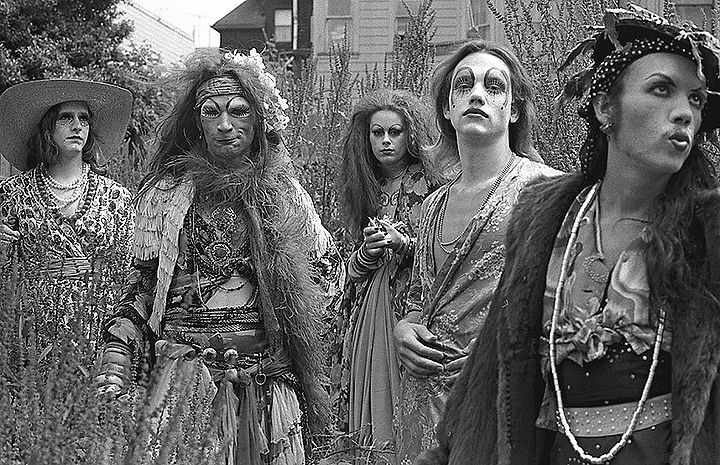 They first performed as an informal group of friends in wild costumes doing a chorus line dance to “Honky Tonk Woman” at The Nocturnal Dream Shows, a weekly midnight eclectic film series at The Palace. Some of their most successful shows included Etoiles de Paris” and “Hot Greeks”. They gave their last performance in the autumn of 1972. Some of them continued to perform together in other contexts, some began solo careers, and others departed from “show business” entirely. We were a jolly bunch and lived together in a Victorian flat across the street at 1965 Oak Street, which we fondly called The Chateau as it was a very elegantly appointed Victorian. The flat was previously occupied by James Gurley and Richard Hundgen from Big Brother and the Holding Company. This is how we dressed every day; it was a point of pride with us to be our most creative selves with our look. Our houses, there were 3 of them, were highly decorated as we all loved collecting magical and beautiful things and arranging them all over the house. We dressed the house as well as ourselves. Sweet Pam was one of five women in the troupe. She’s pregnant with her baby Cactus and we were about to go to New York with two of our productions. She’s having a long think about all that. 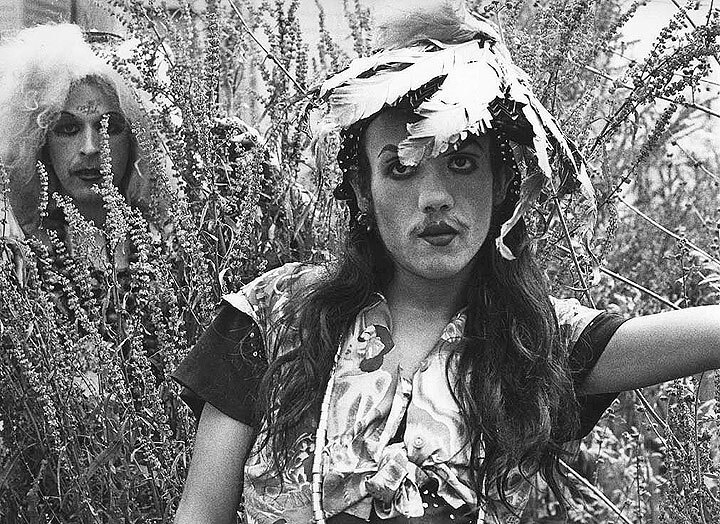 Wally spent hours assembling his high drag which was filled with glitter and feathers, extremely colorful. He would then trip around the City, spreading the love, coming home days later, with the drag looking much the worse for wear. Link was very brilliant and was our playwright. He was working on Pearls Over Shanghai, our best play. He was intrigued by the wanton atmosphere of old China, especially as it was portrayed in the 1930s Noir Hollywood films of Joseph Von Sternberg and Anna Mae Wong. The Chateau on Oak Street had a yard that grew wild lavender and I imagined us as blooming in a mystical landscape, full of color and magic. The mystical landscape that spawned our dreams was San Francisco. Scrumbly and Link were our great creative pair, the magicians. Scrumbly wrote the music and Link wrote the lyrics as well as the script of our plays. We began singing old Broadway and Hollywood show tunes but we soon grew into presenting original musicals.